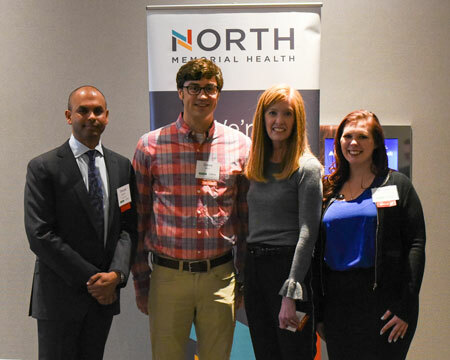 (Robbinsdale, MN – April 17, 2018) This April, during Oral, Head and Neck Cancer Awareness Month, North Memorial Health and Delta Dental of Minnesota partnered to convene over 100 healthcare providers to discuss prevention, diagnosis and treatment of head and neck cancer associated with human papillomavirus (HPV). HPV-associated head and neck cancer is a growing epidemic for both women and men in the United States. The Centers for Disease Control and Prevention (CDC) estimate that about 3,200 new cases are diagnosed in women and about 13,200 are diagnosed in men each year. For those affected, early diagnosis, treatment and concerted prevention efforts are critical. With dentists having a close proximity to areas of concern for some oral cancers, a joint effort between dental and medical professionals is required to produce the best outcomes. The conference, which was held at Radisson BLU at Mall of America in Bloomington, MN, on Friday, April 13, 2018 also featured a panel of cancer survivors who spoke to the importance of having a healthcare team that excels in collaboration and personal relationships. Another survivor, Jill, spoke about her cancer recovery and how Dr. Kademani has helped her find a “new normal” since being diagnosed over 15 years ago.